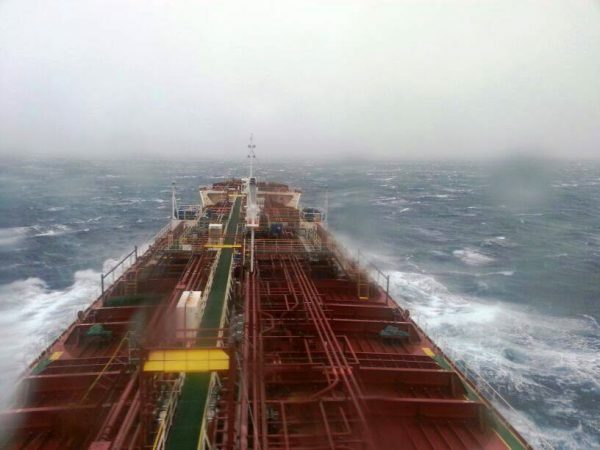 Challenges of the sea and the mighty sailor! The MeToo – Too much!! Last few days my thoughts have been filled with many questions and they have been about the sea. I am a Navy daughter, my brother is a mariner and am married to a sailor. A friend had a close save recently – that makes me put a few things in my blog about the sea and lives of the sailors….. only a minuscule drop in the ocean though ! 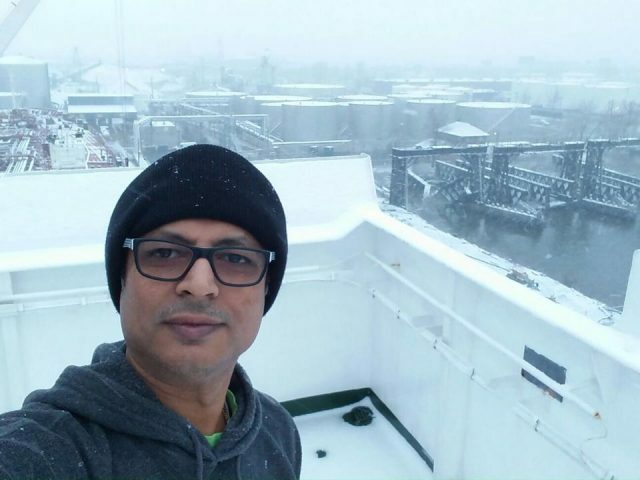 I am following the Golden Globe Race closely just like many other fellow Indians are; all thanks to a friend, the first solo circumnavigator from India Cdr. Abhilash Tomy who was participating in the race. Tomy is one of India’s most prominent sailors. A pilot in the Indian Navy, he has had the advantage, of spending much of his career sailing for his Country. He has covered 52,000 miles under sail while in the Navy including a solo non-stop circumnavigation from Mumbai and back in 2012/13. He has also represented India in the 2011 Cape Town to Rio Race, the Spanish Copa del Rey Race in 2014 and the Korea Cup for two years in succession. Abhilash has been awarded the Tenzing Norgay National Adventure Award, the Kirti Chakra for valour and courageous action and Mac Gregor medal. The Golden Globe Race this year recreated in the closest way possible, the magic of the original race 50 years ago. The emphasis was not on technology and its management, but on seamanship and a direct experience of sea. The Golden Globe Race involves a single-handed circumnavigation of the globe- a distance of 30,000 miles; without using modern technology, except for satellite communications. The race is in progress, It began on 1st July 2018 from France. Tomy’s boat, the Thuriya, is a replica of Robin Knox-Johnston’s ‘Suhaili’, which was the winner of the first Golden Globe Race in 1968. The storm, which damaged the vessel, whipped up 70-knot winds and 14-metre (45ft) waves, knocked down the boat. Most of the 11 competitors, who are still in the race, were further north and thus avoided the worst of the storm, organisers said. He had a serious injury, a lot has been written about it and the whole world was waiting with abated breath for his rescue. The Indian Government, Indian Navy, Australian Navy and the CCR team was taking this on the war front. 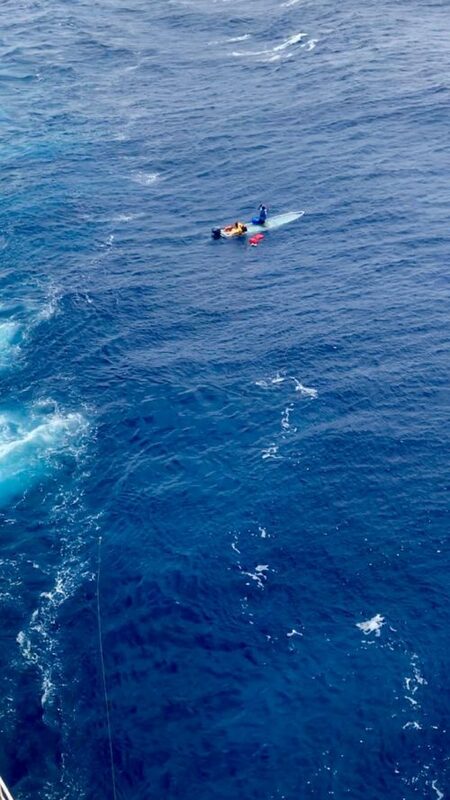 Rescue teams had raced towards him, but the French fishing vessel Osiris reached him first. A minute by minute account of the entire rescue operation has been documented and it’s there all over the internet. Do read it if you haven’t seen it yet. It’s the story of a great sailor, military man and a man with diehard attitude; someone who could never give up! He is the inspiration for the new generation and so for all of us as Prime Minister Mr. Modi spoke of him at an event recently. What makes sailing a tough job? Working at sea has been recognized as one of the ten most dangerous professions in the world. It’s not a job for the weak hearted- one needs to work under immense pressure and trying conditions. The sailor is away from his family for months together with little communication. All professions come with their own set of pros and cons, the grass always looks greener on the other side and the rest of the world might see a shipping job as adventurous and having many perks such as good wages as well as travelling the world. It’s certainly there and with the right mindset and preparations one can have a fulfilling, exciting and successful career in the Merchant Navy. I shall share here what I have heard and experienced with my Master Mariner husband, who is in the profession for the last 25 years. Remember a smooth sea never made a skillfull sailor! The sea is unpredictable, what lies within no one knows hence just go with the tide and do your best. Sailor stories have been full of fascination and mystery and the sea holds deepest secrets. What does it take to be the man go goes to the sea and has made his career in the shipping industry. It’s a very demanding job, odd hours of work; working under difficult conditions requires one to be in the best of his health. Ships are always in motion, there’s heavy rolling or pitching. One cannot even get decent sleep and has to manage his work with sleep deprivation. I know there have been times when as a captain of the vessel, my husband has been at the manoeuvring for more than 36 hours with hardly any time to take a nap, forget the sleep. Work schedules onboard are extremely stringent. One works with crew from different nationalities and there is regular crew change, working with new teammates becomes easy ground for conflicts. Also there is separation from their families which can lead to psychological issues. It is said that a sailor needs to be physically strong and mentally tough and alert always. Family needs to understand his work and also the same is expected from the shipping companies after all a sailor is human too; super may be but basic emotional quotient is the same for all. Sailors have tremendous control. I have seen me losing it but not my sailor and when he does it …..then God save! The ships move in different parts of the world across different time and temperature zones. 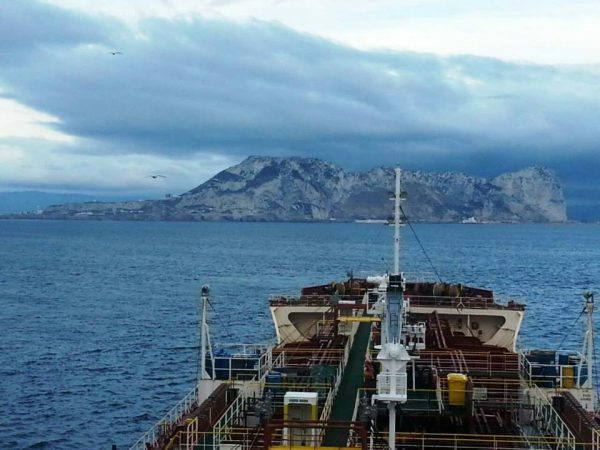 Seafarers are exposed to extreme weather conditions especially during long voyages touching many countries or continents; moving from hot and humid tropical regions to the extremely cold conditions of the Northern or Southern hemispheres. They need to acclimatise themselves to all kinds of weather conditions. Long and continuous exposure to direct sunlight and harsh weather while working on the deck or extremely high temperature and noisy environment in the engine room can have an impact on their health and general well being. We live in the comforts of our climate controlled homes and offices but the sailors live by what the nature gives them. That makes them adaptable to everything and their needs being very little. One must check a sailor’s wardrobe; it’ll be testimony to how little he needs. Not that the work is unsafe but due care needs to be taken and SOPs are to be followed to the T. Ship uses many equipments or could be carrying harzadous cargo that needs one to go by the book (for anything that’s not there, there’s the Master onboard.) Many accidents have been reported in the recent times involving people falling into fatality or ignoring SOPs and losing their lives. Safety is of utmost importance, I have often heard from my husband that if there is doubt then doubt exists, act accordingly. You can’t afford to take anything lightly while onboard. Shore based training conducted by certified professionals also may not be good enough if such training is being imparted in ill equipped set ups and conducted by those who haven’t been on board ships in many years. The training has to be updated and current. Good training and preparations make things much easier on the ship. It’s good to understand the nitty gritties of the vessel and equipments being used. On-board training involving marine equipment suppliers and shipyard personnel thus becomes the best form of training for the seafarers especially for the top four. For other levels- knowledge and skill based training and refresher training programmes are a must. One starts off as a deck or engine cadet and grows up the hierarchy. The deck cadet or engine cadet becomes a Captain or the Chief Engineer respectively when career is planned well. It’s much faster now; some manage to clear their competency courses and exams within 10 to 12 years. There’s hardly time for any other skill to be learnt or courses to be pursued. While on leave or between contracts certificate renewals and mandatory company sponsored courses are to be taken up. One ends up running a ship with hardly anything else beyond that and can find his job monotonous or hardly exciting. Here, shipping companies need to help the seafarers with succession planning. This will improve their performance as well as better retention of the staff ; which will solve many turnover issues for the shipping companies. If you tell this to a sailor he’d ask, “What’s that?” They are away from home for nearly 4-5 months. While on their break, they recharge their batteries and want to spend time with family and friends. While the seafarer has the time others might be busy with their routine work. They need to catch up on a lot of things that they might have missed out on. When it’s all on one level; it’s time for them to go back. They miss important benchmarks within the family. Could be missing out on the birth of the child, birthdays, anniversaries; forget about the events like their children’s PTM or the annual programs that every child wishes to see his parents at. Working on ships is tough but something can be created around it by the organisations they work for so that the seafarers lead a quality and fulfilling life. People working on ships also must develop the right attitude towards their jobs. They must not only follow the routine onboard but also find time around their work to engage in self development activities as well as hone their interpersonal skills. While at home they must sit with their families and chart out the activities that they’d like to do together as ‘a family’. Even small outings and family get-togethers can be planned not just the longer vacations. All these can help create work life balance for the seafarers. No matter how tough the sea, tougher is the sailor! There’s a strong connection that he makes with the sea and that bond keeps calling him back. Picture courtesy: Capt. Todiwan and Capt. Sidharth Sharma.